Bernell Hydraulics has been in the hydraulic parts and service business since 1977, and we can help you find just about any type of industrial hoses Indio CA that you may need for your hydraulic system. We have three fully stocked stores that offer a wide variety of hoses and fittings, so it’s highly likely that we’ll have the products you need in stock. If we don’t, we can easily order them for you and deliver or ship them right to your work site. Industrial hoses are an extremely important part of any hydraulic system, but unfortunately they are also a very likely source of problems. Hoses simply wear out faster than the metal parts that surround them. By choosing the best industrial hoses Indio CA for your unique application, you can extend the life of your hoses and get more for your money. Getting an expert hose and system analysis from one of our technicians is a very good idea, because we can often suggest improvements like higher temperature ratings or more efficient hose configurations that well deliver better performance. Making do with generic hoses that aren’t specifically made for your equipment means that you have to mess with cutting and crimping the hoses and adding the necessary thread configurations. 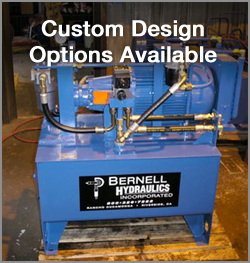 You can save yourself time, money and trouble by ordering custom industrial hoses Indio CA that have been made to your exact specifications by Bernell Hydraulics. We have the tools and experience required to handle all your needs right in our workshop.